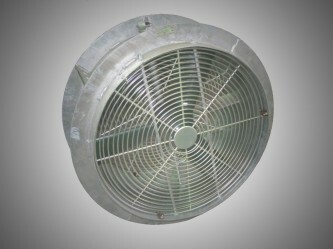 The Typhoon Fan is a small, 500 mm, air driven fan. It is sturdily made from steel and is designed for use in underground mines, tunnels and construction sites. The impellor are made from high strength plastic and is foot mounted with a sealed hub. The fan is a low pressure unit, designed to move a larger volume of air shorter distances through ducting. Typical applications include the ventilation of small tunnels, drives and confined spaces.